If you don’t adjust your strategy, your Instagram engagement is going to decrease drastically. Luckily for you, I’ve been deeply studying, testing, and exploring what works and what doesn’t over the last months. 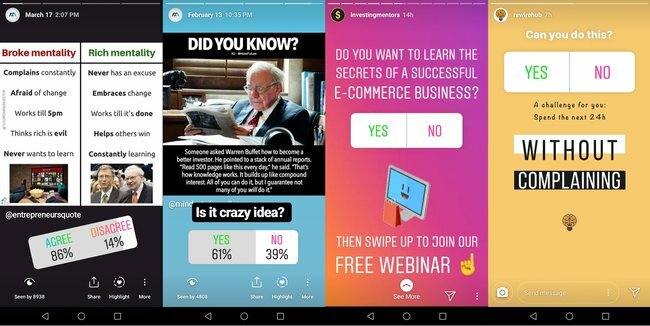 Sign up for Instagram Audience from Scratch – Attract quality followers, increase engagement & make more sales on Instagram! I’ve analyzed the results from our experiment and put together a piece that will show you 16 ways to increase your Instagram Engagement drastically. There’s one thing that I can tell you for sure. If your Instagram engagement decreased over the last couple of months or so, you can do a lot of things about it. You can change it. You can get it back. Instagram wants to show its users the most relevant content. But… This new feature plays a huge part in the Instagram algorithm. When people are saving your posts, it’s a clear sign for Instagram that people want to see your posts in their feed. I can tell you, from an insight source, this is huge! It’s maybe even more important than how many likes you receive. It is no secret that the bigger engagement you get on your posts, the more people see your content, especially within a few minutes after posting. 10-15 comments in the first hour after publishing your images/photos/videos can make a difference between getting your post on the explore page and not getting there. Especially long comments where your audience shares their thoughts, their opinions with you. Try to ‘force’ them to spend time creating a meaningful comment – it helps a lot! 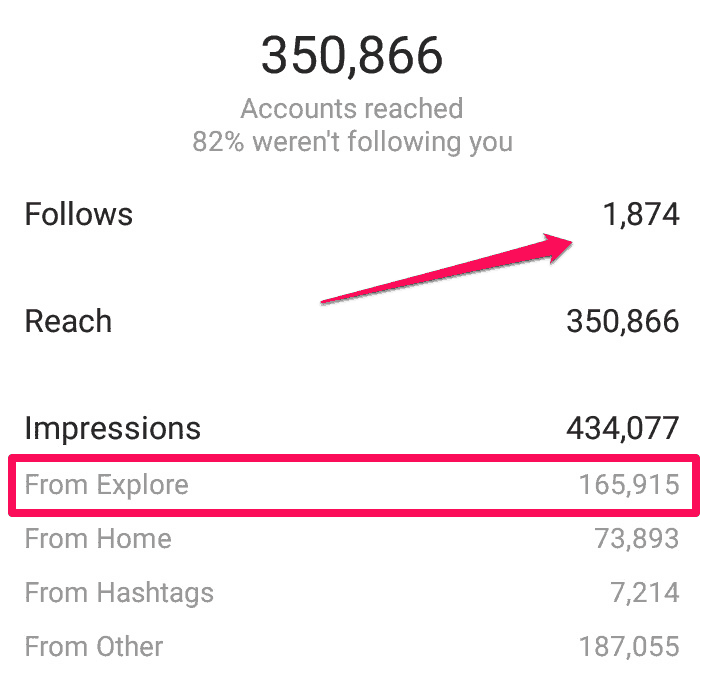 Are you curious why it is so crucial to get on the explore page? Here’s one of my many posts that got on an explore page. Carousel post is a series of images/photos posted as one. You can use 1-10 images/videos or a mix of them. They are really powerful because you can tell a story through them. You can include much more information than in a single post. You can create a valuable presentation, convey a story, explain things, show examples etc..
Carousel posts are the most underestimated feature of Instagram. Most users don’t use them even though they have been here for a relatively long time. Some people say that carousel posts get lower engagement (less likes) and that’s the reason they don’t use them. They can’t be more wrong. It’s not only about how many likes you get! Remember this one! These posts get 3-5x more saves than normal posts. And as I mentioned earlier, that’s a huge sign for Instagram that people want to see that post. Second, every time someone swipes up, one, two, three, four, five times… it’s a sign for Instagram that people want to go through all images/photos/videos in the carousel post. Each swipe is like a ‘like’. That means, even though the overall number of likes is lower than usual, it means nothing. Important is the reach of the post, which is mostly much bigger. Try it, test it, analyze it. Unlike normal posts, we don’t have the ability to ‘like’ stories. There are only a few factors that Instagram uses to determine the engagement of your story. The better engagement, the better reach, more views, more impressions. So what can we do to persuade Instagram that people engage with your stories? There are two things you can do that work extremely well. Using polls is my favorite technique. In my experience, that’s the biggest factor of all! Don’t overthink it and don’t overuse it. Every time I used a poll on my story, the reach of that post has been much higher than the previous…. And the following stories get better reach as well. I’m trying to post a poll on every 4th story. Below you can see a few simple examples. 5. Use one specific hashtag on your stories! Yes, you heard it right. Hashtags work on stories as well. Unlike inside your feed, using one hashtag on your story is more than enough. We’ve seen a couple of case studies from our students that got 300-400% more views on their stories thanks to hashtags. It will help you drastically increase Instagram engagement. 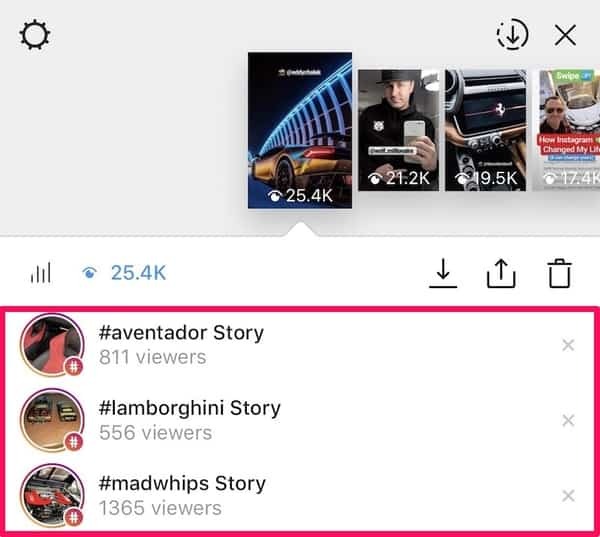 Fortunately for us, you can see the exact number of people who see your story under each hashtag. Then it’s simple to find out which hashtags work for you and which did not. Don’t forget this tip. Instagram doesn’t like when you use the same type of story every time. Your Instagram engagement will drop. Your reach will drop. Be creative with your stories. There are a bunch of different things you can do. It will help you to grow much faster. Another important thing is what time you publish. If you have a business account (I hope so), go to your analytics and make sure you know when most of your audience is online. It goes back to the previous point. Early likes, comments, saves, and shares help you to get more impressions and reach more people with your posts. As I mentioned, stories are more popular than ever. Over 70% of people reported they check their stories first. So how is it going to help you? 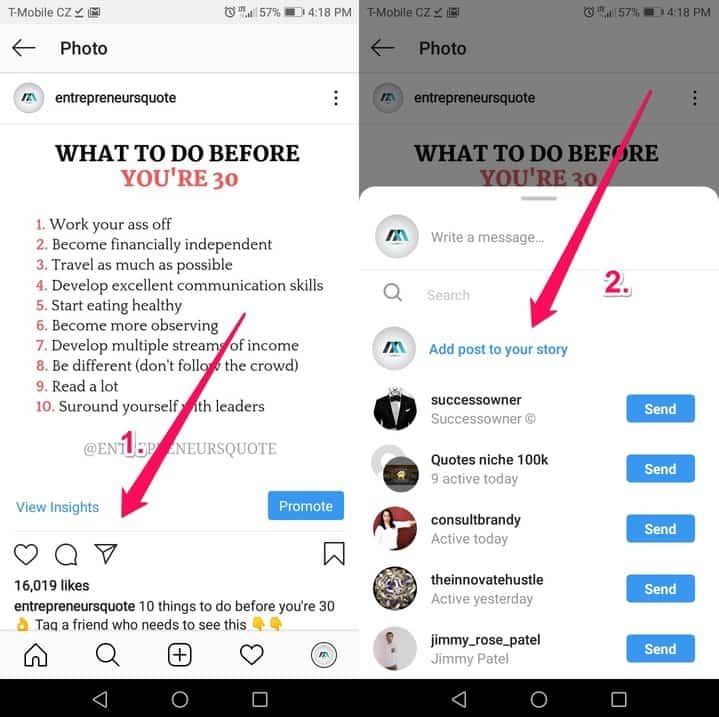 You can share your feed post to the story immediately after posting. When someone clicks on the image inside the story – it’ll be redirected to the original feed post. And if they like it, there’s a good chance they’ll like the post, comment on it, or save it for later. Don’t overlook hashtags. I’ve seen people’s opinions that hashtags are not working anymore. They can’t be more wrong. Hashtags are still as powerful as ever. Make sure you have a collection of RELEVANT hashtags that are used by your target audience. Don’t use the most popular tags in your niche. Hashtags like #success #golf #tennis #motivation are not a good choice. There are simply too many posts under these hashtags. They are extremely popular and used by millions of people. You don’t have a chance to get under the popular section through these hashtags. You need to find hashtags that are relevant and that have fewer images per hahstag. Hashtags that have between 10k and 300k images are the best choice for you. I bet you’ve seen some sort of giveaway almost every day. There’s a reason behind that. Contests & giveaways work, period. People love the feeling that they can win something. Step #1: Find a prize your audience is craving – it doesn’t have to be something super expensive. Note: Don’t offer money or Kindle products as most people do. You want offer something that only your ideal audience is interested in. You do not want people to join just because of the prize, because they will follow just for the chance to win and unfollow you later. Find a prize that is relevant and useful only for your market. Create a promo image for a feed post and for a story as well. Make sure to use the image of the prize you offer with text describing what the giveaway is about. Set the rules (describe in detail what your fans need to do in order to qualify for the giveaway). Make people spend as much time on your posts as possible. Since the early age of Instagram, time has changed. People have changed. The trends have changed. The long, compelling caption can get your posts much higher engagement. Think of it as a new blog posts. Why bother? Because Instagram recognizes how long people spend on the caption, if they’re reading it or not. 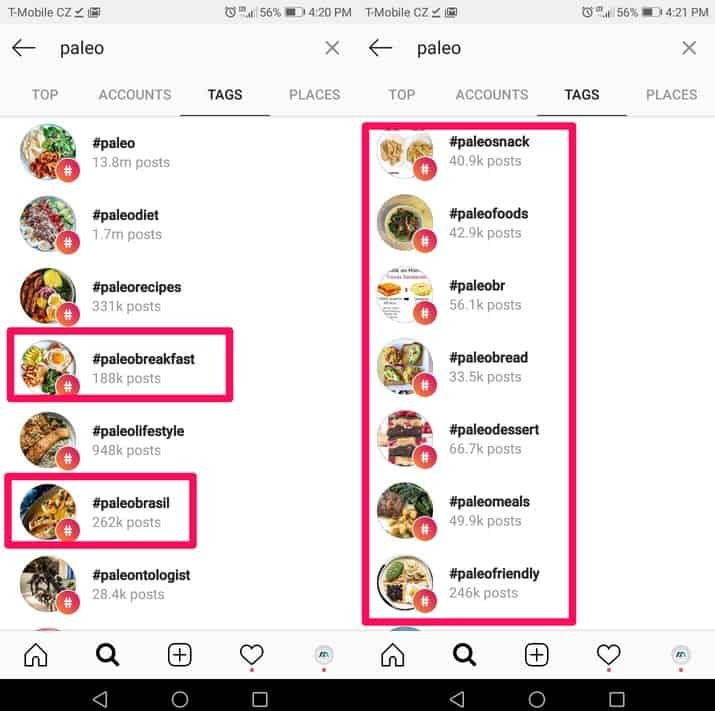 It’s a part of Instagram’s algorithm. Do your best to brainstorm as compelling a caption as possible. Another reason is that people tend to ‘save’ posts with a long caption. They may not have time to read it immediately, so they save it for later reading. 12. Comment on 10-30 big accounts daily. Your comments get seen by others! No matter what your topic/niche is, knowing at least 15 influencers is a must. You can learn a lot of valuable insights from them, you can learn what type of content works for them, you can replicate what they do, and you can get inspired by them. Last but not least, you want to get on their radar and start building relationships with them as soon as possible. It can help you in the long term. Spend at least 5-10 minutes every day commenting on their latest posts. I don’t mean the spammy comments, like ‘like this’, ‘yeees’, etc.. I mean comments providing value to their audience, showing them that you were thinking about the post. Try to explain it further… ideally, in 20-30 words. The idea behind that is, when you write a valuable comment, people start liking your comment and the more likes, the higher the comment will be. 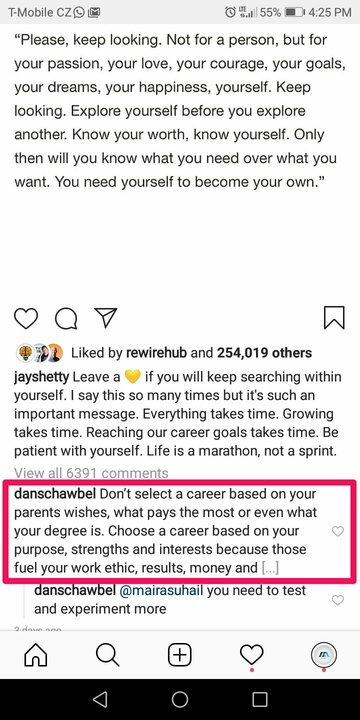 When you get to the top, everyone who decides to post a comment as well sees your comment = exposure for you and your brand. I personally love this strategy because not only does it help me grow my account and engagement, but I’m building a relationship with those influencers as well. 13. Like the last 9 photos of other (big) accounts in your niche multiple times a day. There’s no need to explain this step further. When you engage with 9+ posts at once, even big accounts start noticing you. If they find your stuff valuable, there’s a no reason they shouldn’t give you a like. Remember, one like from a big account has much bigger value for Instagram than hundreds of small accounts. 14. Ask (tag) other big accounts to like and comment on your post to boost it up. Imagine, you’re just starting out with your Instagram account, and every time you post a photo, 5+ influencers (accounts with hundred of thousands of followers) like your photos. Because of that, the reach of your post are growing exponentially. The followers count is growing exponentially. Sound like a pipe dream? It’s not. Let me explain how to get on the radar of those influencers. Step #3: When you post an update on your Instagram, whether it’s a carousel post, normal post or a video, tag those influencers in the caption or in the photo. Note: In order to get likes from high profile accounts, your posts must be valuable & good-looking. Tag those influencers only when you believe your posts can help their audience in some way. Rule #1: Unlike regular feed posts, which are subject to the fickle Instagram algorithm. Instagram won’t penalize you for posting too many stories, simply because of the nature of the stories. They only exist for 24 hours. There’s no pressure for Instagram to prioritize some posts over other people’s posts. I can’t promise this won’t change in the future. But for now, it’s completely OK to post 5-15 stories a day. You won’t get penalized. Rule #2: Post in regular intervals to show your stories to most of your followers and to get better reach and engagement. This doubles your engagement and starts conversations in the comments, which also boosts the posts. Comments are everything! Instagram will raise the visibility of your post the more the engagement goes up. When you receive a comment from your followers, reply as soon as possible. Think of it as a real conversation with someone. Don’t let them wait. This doubles your engagement and starts conversations in the comments section, which also boosts Instagram engagement. Comments are one of the biggest factors for Instagram, especially a couple of minutes after publishing your posts. The longer comments, the better. Try to encourage people to comment by asking a question in the caption under the posts. Remember, these strategies are not the typical, outdated tips you read on some marketing blog or see on Youtube. I’ve been testing these techniques over the last couple of months, and all of them work! They are solid and proven. If you are ready to increase your Instagram engagement, grow your following, build a long-term relationship with your followers, and finally get results, these techniques will get you to the top. Try it, test it, apply it, get results. It’s simple as that. That’s is really amazing facts love it and thank you so much for sharing. It’s good to keep these thoughts in mind. I will try these suggestions out to see what really works and let you know. In the mean time I appreciate your advice. Great, these tips work. Let me know once you implement them and what results have you gotten! Somehow stumbled upon your content a couple of days ago. I have been reading, bookmarking, returning ever since. I am wanting to use Instagram in relation to a “paid hobby”. My desire is to make skirts for sale. It looks as though I’ll need to spend more time on social media than actually creating skirts. Thank you for the wealth of knowledge that you are sharing. That’s great to hear! I appreciate the kind words! I’m sure that Instagram can help you with the skirts business.